Max Spann Jr., CAI, partner and president, has more than 20 years of diverse experience in commercial and residential real estate as a broker, developer, site acquisition officer and marketing executive. During his career, he has purchased and managed development of hundreds of residential units and hundreds of thousands of square feet of commercial space on behalf of various entities. His multi-faceted experience includes acquisition, tenant/landlord representation, financing, development, asset management and commercial leasing. Recognized as a leading innovator in accelerated marketing, he has lectured at Realtor, builder, developer and auctioneer conferences around the country. He is regularly quoted in such publications as the Wall Street Journal, The New York Times, The London Times and numerous other newspapers and television outlets. 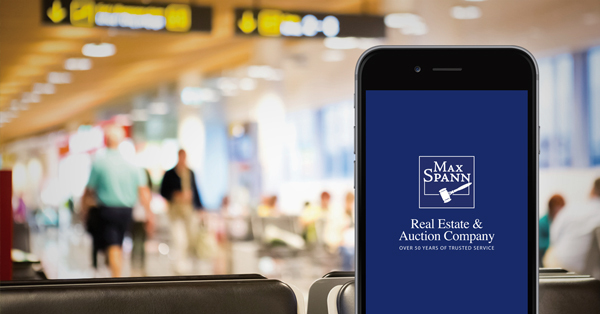 Mr. Spann has coordinated the auctioning of hundreds of millions of dollars of real estate on the behalf of developers, lending institutions, private entities and various government agencies. Mr. Spann graduated from Fairfield University with a bachelor's degree. In addition, he is a graduate of the New York University School of Real Estate, a graduate of the Certified Auctioneer Institute (CAI) and a graduate of the Missouri Auction School. Mr. Spann is on the Board of Directors at Team Capital Bank, past-president of the New Jersey State Society of Auctioneers, the New Jersey representative for the Auction Action Network, a member of National Auctioneers Association, American Bankruptcy Institute, New Jersey League of Municipalities, National Association of Realtors, ICSC, BOMA, NAIOP, New Jersey Chamber of Commerce and the National Home Builders Association. He is a licensed real estate broker in New Jersey, Pennsylvania and New York. Robert Dann is Executive Vice President and Chief Operations Officer for Max Spann Real Estate & Auction Company. Mr. Dann oversees all aspects of our real estate auction process including leading our marketing program and guiding our sales team. Specifically, Mr. Dann’s responsibilities include outside sales, overseeing operations, advertising, public relations, logistics, and contract review from project kick off to closing. Supporting his role as COO, Mr. Dann has ten years of experience in construction/property management and 30 years of experience in marketing. Mr. Dann is a Licensed Auctioneer in Florida, Pennsylvania and Vermont. He is also a licensed Real Estate Broker in Florida and Pennsylvania, and a licensed Real Estate Salesperson in New Jersey and New York. Mr. Dann has served as President and Chairman of the Board of Trustees for the New Jersey State Society of Auctioneers. He is a member of the National Auctioneers Association where he currently serves as a State Ambassador. He is a long-time member of the National Realtors Association and the Pennsylvania Auctioneers Association, and has actively served as a member of the National Association of Builders, Pennsylvania Bankers Association, New Jersey League of Municipalities and Pennsylvania State Association of Township Supervisors. Mr. Dann has presented Auction Seminars for National and Regional Auction, Banking and Building Associations and has served as an Adjunct Instructor for the Pennsylvania Auction Licensing Course at Reading Community College. Mr. Dann is a graduate of Gwynedd Mercy University in Gwynedd Valley, Pennsylvania with a Bachelor’s of Science Degree in Business Administration and a Marketing Concentration. Mr. Dann is an Accredited Auctioneer of Real Estate (AARE) and a graduate of the Certified Auctioneers Institute at Indiana University (CAI). Mr. Dann generously donates his time and has raised hundreds of thousands of dollars for multiple charities including: Habitat for Humanity, St. Jude Children’s Research Hospital, Bethany Adoption Agency, the Boy Scouts of America, Special Olympics, The Archdiocese or Philadelphia, and Operation Shoebox to name a few. Mr. Dann has sold over five hundred million dollars of real estate specializing in Commercial, Agriculture, Bankruptcy, Government Sales, Trophy Homes and Condominium Auctions. Mr. Dann consults with banks, builders, estates and trusts to determine the most efficient strategies for their Real Estate Asset portfolios. Earle R. Steeves III, vice president and broker associate, is recognized as a specialist in financial and business consulting. He has more than 25 years of experience in farm finance and real estate, including 20 years as president and CEO of Farm Credit of North Central Jersey, ACA, a cooperative agricultural financial institution with more than $160 million in outstanding loans. His experience includes the appraisal, sale and financing of farm and residential properties. He has completed various real estate appraisal courses and has been a member of the Farm Credit Appraisal Society. He is also a past member of the Hunterdon County Board of Agriculture, the Land Use Advisory Board to the New Jersey Department of Agriculture, the Governor's Task Force on Agricultural Credit, the Governor's Economic Master Plan Commission Task Force on Agriculture, the Agri-business and Fisheries Task Force, the Cook College Board of Managers of Rutgers University, the FARMS Commission of the N.J. Dept. of Agriculture Strategic Plan for Agriculture and the Business and Industry Advisory Committee to N.J. Planning Commission. He is a former Chairman of the Hunterdon County Chamber of Commerce and the Acorn Montessori School. Present memberships include the Hunterdon County Parks & Recreation Advisory Board and the Union Township Parks and Recreation Committee. Mr. Steeves has a bachelor's degree from the Cornell University College of Agriculture, Ithaca, New York. He has completed numerous courses in real estate appraisal at the college level, as well as internal Farm Credit appraisal seminars. Loren Fischer, the chief financial officer for Max Spann Real Estate & Auction Company, has management oversight and responsibility for all company financial and human resource functions and oversees revenues, costs, operating budget and capital expenditures. She is also a licensed real estate agent in New Jersey. Prior to joining Max Spann in 2005, Ms. Fisher held an executive position for managing the health management centers in North America for a top five pharmaceutical company. She has a bachelor's degree in nursing from Alfred University and obtained her master's in business administration in 2005. She serves on the Hunterdon Medical Center's Foundation Board and is a frequent volunteer for various causes, such as the Hunterdon Medical Center Auxiliary, YMCA and SAFE in Hunterdon. Norman Zimmer is the Chief Technology Officer and Broker Associate for the Max Spann Real Estate & Auction Co. Mr. Zimmer leads the bankruptcy and reorganization initiative. Mr. Zimmer oversees and coordinates the auction marketing campaign process, online bidding, website development, internal corporate systems, and client database. His responsibilities include assisting with e-marketing, customer relationship management (CRM), property management, and individual client sales. Mr. Zimmer has twenty years experience in marketing, website development, CRM systems, corporate website coordination, business systems consulting, and business development management. Mr. Zimmer has a bachelor's degree from the University of Hartford and master's in business administration from Fordham University. He is a member of the American Bankruptcy Institute (ABI) and Turnaround Management Association (TMA). He is a New Jersey licensed real estate Broker Associate and a Pennsylvania licensed real estate salesperson.